Our team recently redesigned Dr. Loochtan’s site. Within the first two weeks after its launch, we measured its performance against the old site. On top of increasing the conversion rate from 2.82% to 6.94%, the bounce rate decreased to less than 1% and its average page views per visitor more than doubled. Conversion rate is now a hotter topic than SEO. While Google keeps changing the algorithm repeatedly to muddy the SEO waters, companies are forced to use Adwords as a more reliable form of advertising. That in turn creates a more fierce competition on Adwords, driving the cost per click higher. As we pay more for our ads, our return on investment (ROI) decreases and advertising on Google becomes less attractive. The solution to this ongoing problem is having a better performing website. General Conversion Rate: calculated by measuring the total number of people who contact the office from the site (current patients, old patients, advertisers, etc.). Real Conversion Rate: calculated by measuring the number of new patients that contact the office (excluding the rest). In our calculations, we use the latter. 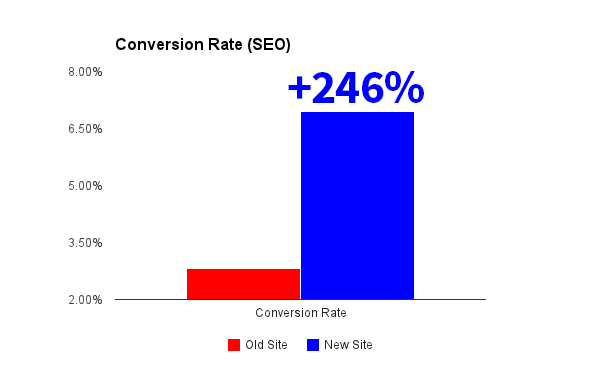 Dr. Loochtan’s real conversion rate before the launch of the new site was 2.82%. After launch, we saw a 246% increase reaching 6.94%, nearly tripling the number of new patients who are contacting the office when visiting the site. As a result, Dr. Loochtan’s ROI is increasing by more than double. If getting each new patient to the office was costing $200, now it costs less than $100. How much interest do your site visitors have in browsing your site and visiting more than the landing page? The percentage of people who leave your site without exploring it beyond one page is called bounce rate. 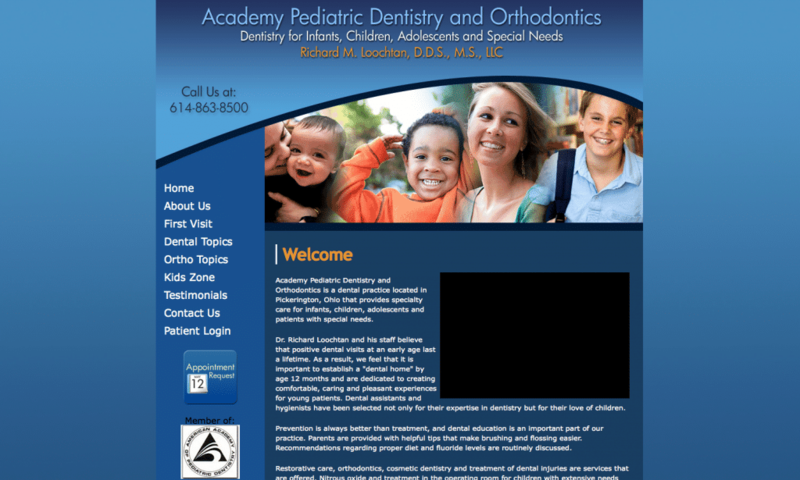 Dr. Loochtan’s old site had a bounce rate of 57.06% (for visitors coming through organic search – SEO). 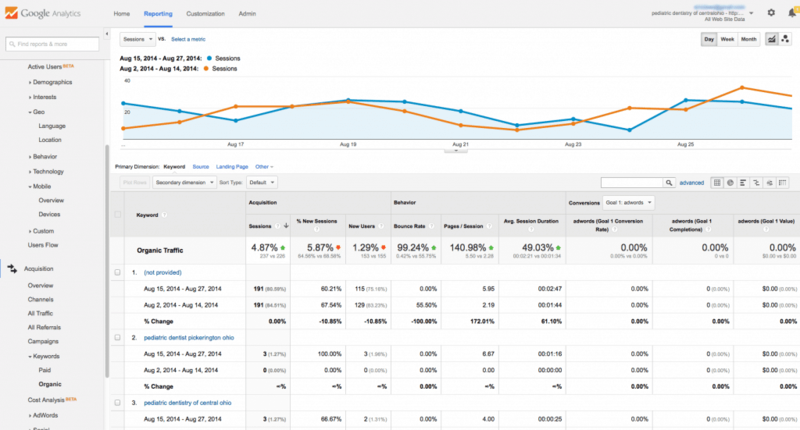 After launching the new site, the bounce rate of SEO visitors dropped to an amazing 0.58%. Nearly nothing. 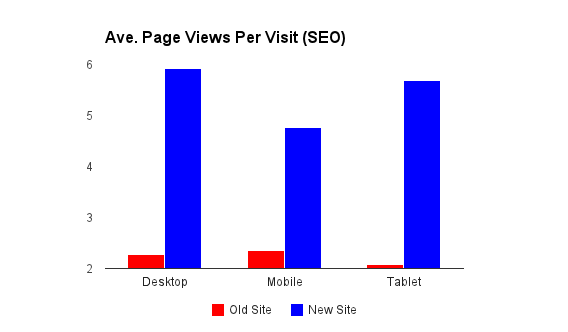 In other words 99.52% of site visitors browsed through the site. This level of interest directly contributes to a higher conversion rate. 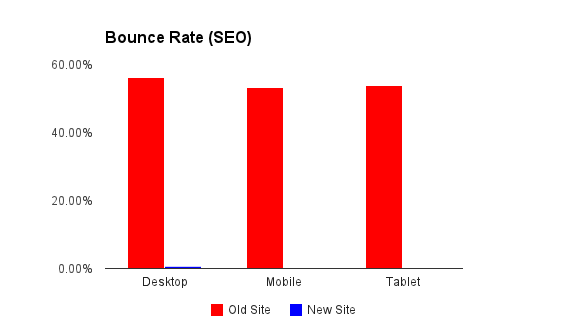 Amazingly, the bounce rate for tablet and mobile users dropped to 0%. Directly related to bounce rate is the average number of pages site visitors browse when visiting your site. 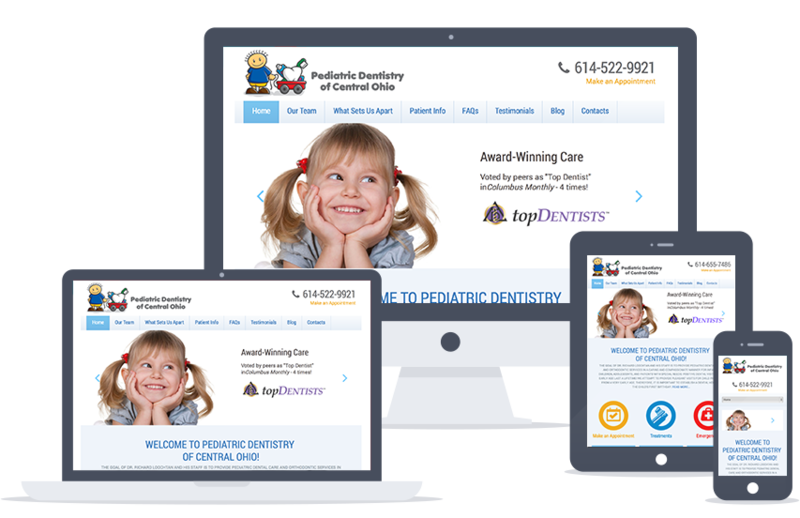 Just as the bounce rate decreased for Dr. Loochtan’s site, the average pages per visit almost tripled from 2.15 pages to 5.34 pages per visit. Why is the new site doing so so much better than the old site? This is a topic we will discuss in our up-coming webinar on September 9, 2014. Make sure you sign up for this webinar as the seats are limited. Also give us your feedback as to why you think the new site is doing so much better. Great points, thanks Mr. Husayni.